A benefit fraudster paid £24,000 she wasn’t entitled to has been spared a custodial sentence. 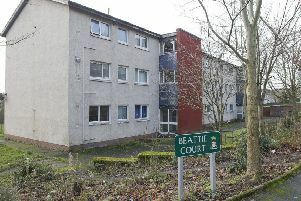 Danielle Johnstone, 23, of Cheviot Road, Hawick, was paid £8,000 in housing benefit between January 2015 and June 2017 because she failed to give prompt notice that her co-habiting partner had got a job. She also claimed child tax and working tax credits to the value of £16,000 while they were living together as husband and wife over that same period. Procurator fiscal Graham Fraser told Jedburgh Sheriff Court it was accepted that the accused had a “fluctuating relationship” with her partner but it was clear that she had received benefits she was not entitled to. He described the benefits paid to Johnstone as substantial amounts. Johnstone was ordered to carry out 240 hours’ unpaid work over the next 18 months. She was also given a 12-month restriction-of-liberty order keeping her at home between 7pm and 7am daily, and sheriff Peter Paterson told her that curfew was an alternative to a prison sentence.